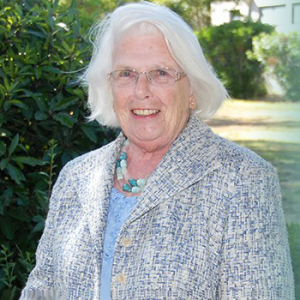 Honora Murphy, a founder of the Friends of the Alameda Free Library and a dynamic leader of volunteer efforts around education, libraries, disability advocacy and civic involvement in Alameda for 50 years, was honored by the Alameda City Council with its Lifetime Achievement Award on Oct. 26. Her volunteer efforts for children started more than 50 years ago when she discovered that the City Council-appointed school board was not addressing the needs of disabled youth – affecting one of her 14 children. The result was an elected school board that is more responsive to the needs of the community. She proudly notes that she never missed a school board meeting for the first 7 years. She served as PTA Council President and was a founder of the Alameda Collaborative for Children, Youth and their Families. She has more than 20 years of service on the Board of the Children’s Learning Center, now called Phillips Academy, a school for children with special needs. Her work on the library followed a similar path when she tried to take her disabled child to the Library and there were no wheelchair ramps. She lobbied for a new library. Knowing that the City did not have funds she led the 1994 parcel tax campaign that was defeated by the voters but not by Honora. A few years later a meeting in her living room resulted in securing local funding for a new Library and branch renovations. Then she chaired the team to design the Library. To raise funds and advocate for the Library she helped found the Friends of the Alameda Free Library and later served as its Chair. Currently, she is on the Board of the newly re-established Friends organization. Honora helped to organize the Alameda League of Women Voters and her service as membership chair resulted in a national award for membership growth. She also served on the Alameda City Disability Commission.